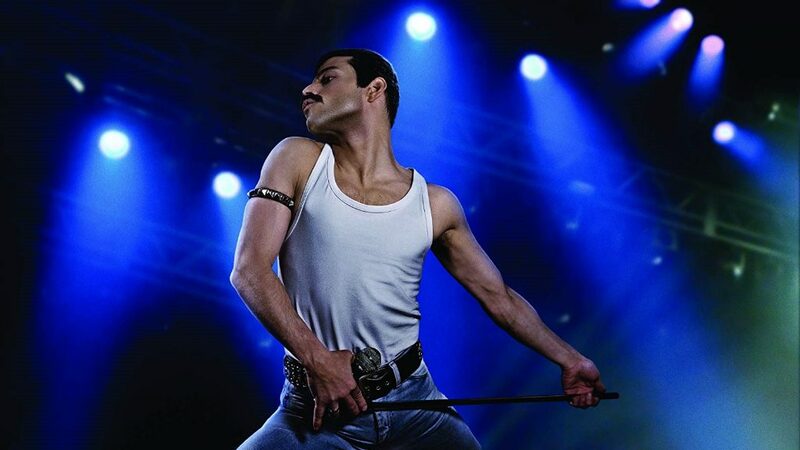 Director Bryan Singer’s musical biopic Bohemian Rhapsody stars Rami Malek as the indomitable Freddie Mercury, entertaining us with reproductions of classic songs while producing a few tears in a touching tale for the misfits. Effective pacing evokes Freddie’s early adult years dealing with angst – from a stifled relationship with his conservative father to the racial slurs he receives at initial gigs. The iconic frontman was known to throw hedonistic, decadent parties, but save for one large gathering aimed to fill his loneliness, the film merely hints at this; it’s refreshing that the feature concentrates on the band’s career over a posthumous character assassination. Fans continue to argue that the essence of Queen was the music, and this is manifested in one of the feature’s early scenes, where the group experiment in a recording studio, continually aiming to push musical boundaries. Though the movie is formulaic in its sequences – depicting Freddie’s family life in West London, his audition for Brian May (Gwilym Lee) and Roger Taylor (Ben Hardy) after they lose their lead singer from band Smile, to Queen’s recording sessions and his lasting relationship with fiancée Mary Austin (Lucy Boynton) – the feature is captivating in its storytelling. Malek puts on an Oscar-worthy performance, and the overall casting is perfect; Lee is almost May’s doppelgänger, Allan Leech’s betraying lover Paul Prenter is creeping and loathsome, while brief clips show Dermot Murphy’s Bob Geldof passionately planning Live Aid 1985. The four-piece are presented as determined musicians who know exactly what they are trying to create, and though there are several moments in the film when they crash heads – arguing about whose song should go in the albums and other creative disputes – the music is at the forefront. Die-hard fans will likely find discrepancies in the recording periods of the picture, but there is an impressive amount of research that clearly went into the feature, and the classic songs make it a worthwhile production. 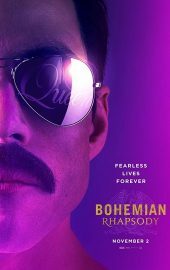 Bohemian Rhapsody is thrilling as an IMAX experience, live music scenes coming to life as though you’re in a concert: John Deacon’s (Joseph Mazzello) bass riff to Another One Bites the Dust is perfect, and the final scene where Queen play to an audience of 72,000 at Wembley Stadium is irresistible and realistic. This is not exclusively the band’s story, but Freddie’s rise to fame against all odds, and a heartfelt tale for the mavericks, showing both the rock star’s musical zeal and the group’s originality. Bohemian Rhapsody is released nationwide on 24th October 2018. Book your IMAX tickets here.